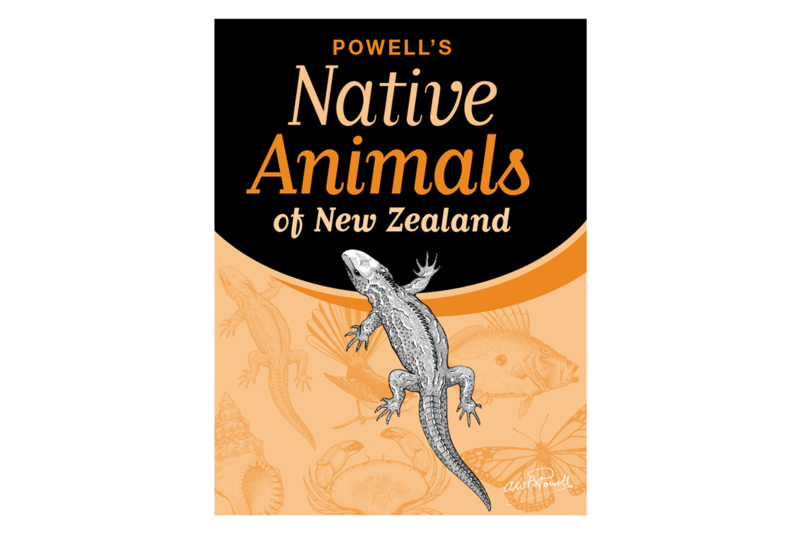 Powell’s Native Animals of New Zealand. Modernising an iconic New Zealand book is a daunting task for any designer, especially for this book first published in 1947. Familiar to so many people and unchanged for years, the reworking is sympathetic to the original – the colour scheme and outline drawings remain, with the heading rversed out of a large shape of black. The typeface has been modernised though is a nod to the hand-formed script of the original.